Hello!! Welcome to our baby registry. We have added things to this registry from Amazon, Target and Etsy-- mostly Amazon. 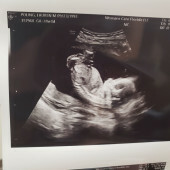 Tim and I are working hard to figure out this whole parenting thing before September, and any help would be much appreciated--whether it's something on this registry or just some advice! Thanks so much for looking! !